TAKE FLIGHT IN FULL FORCE. The legacy lives on with the Nike Air Force 1 JDI Premium Older Kids&apos; Shoe. It takes the icon to the next level with a bold print but keeps it classic with Air-Sole cushioning under your heel. The print celebrates the 30th anniversary of Nike&apos;s slogan, "Just Do It." An Air-Sole unit offers lightweight cushioning. Nike&apos;s iconic "Just Do It." slogan is mashed up to make this print. Transcending foot coverage since 1982, this former hoops shoe was named after Air Force One—the aircraft that carries the US President. It was the first basketball shoe to house Nike Air, revolutionising the game for players such as Moses Malone and Charles Barkley while rapidly gaining traction around the world, from the hardwood to the tarmac to the core of hip-hop culture. 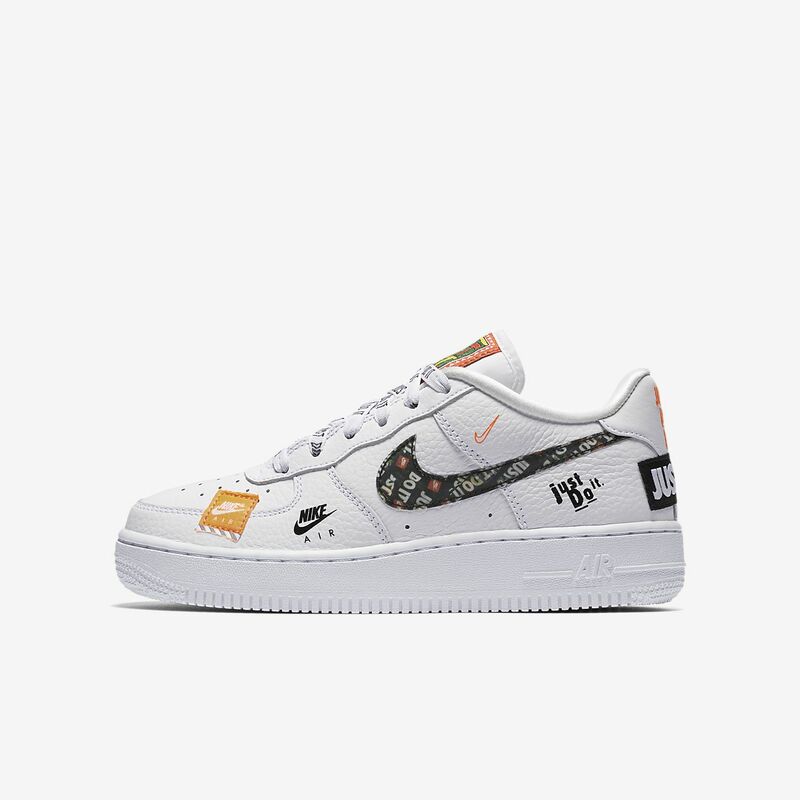 Today, the Air Force 1 stays true to its roots with soft, springy cushioning and a massive midsole, but the Nike Air technology takes a back seat to the shoe&apos;s status as an icon. Have your say. Be the first to review the Nike Air Force 1 JDI Premium.